Most people already know that almonds are a healthy food but many don’t know the extent of the health benefits this superfood can provide. According to health experts, almonds can help reduce the risk of heart disease, lower bad cholesterol, help prevent diabetes and provide protection against cardiovascular disease! 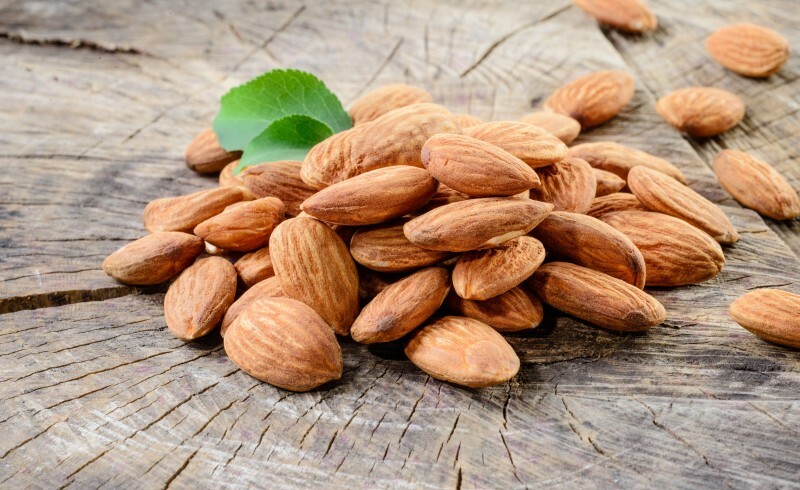 Due to the many vitamins and minerals in these little nuts, almonds are the perfect snack food providing the body with a potent mix of antioxidants and disease fighting protection. This is especially important since lower blood sugar and a more alkaline (less acidic) body balance is important for creating an environment for getting yeast overgrowth under control. While sugar and foods containing sugar should be avoided completely on the yeast free Candida Diet, there are some carbohydrates like rice, potatoes and flour that contain healthy vitamins and minerals and when consumed in moderation are part of a healthy balanced diet. Consuming almonds with these foods can help lower the natural rise of blood sugar in the body during digestion. Almonds are high in healthy monounsaturated fats and are beneficial in helping with weight loss. In fact, studies have shown that incorporating nuts into a regular diet can help not only with weight loss but to prevent weight gain as well…especially when substituted for foods that are high in carbohydrates. In short, don’t let the fat content of almonds and nuts scare you off. These power packed nuts provide good fats and fiber along with a host of vitamins and minerals that add up to more than just a simple calorie count. As part of the yeast free diet these nuts can replace unhealthy snacks and help keep you full between meals while adding vitamins and minerals your body needs to effectively fight off yeast overgrowth. 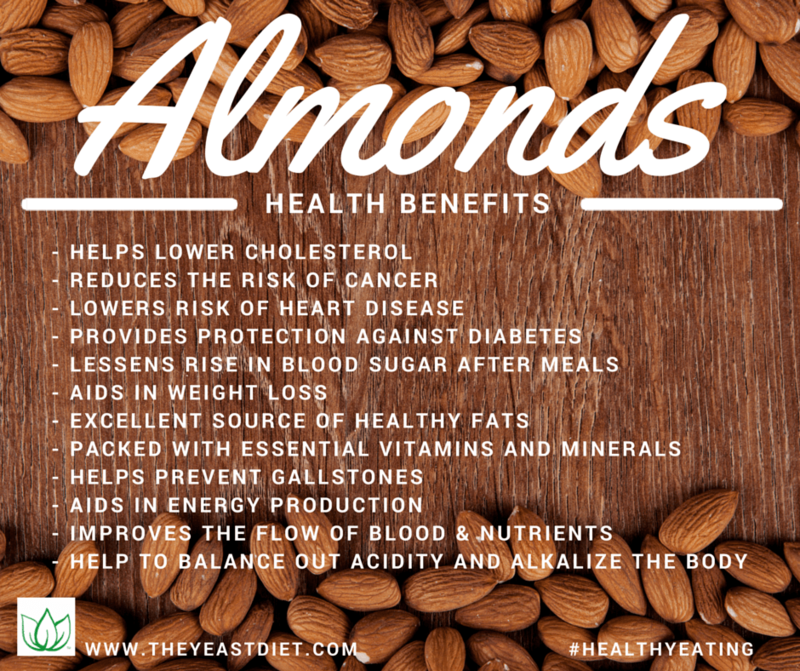 Not only do almonds help even out glucose levels and provide a delicious filling snack between meals, these nuts are also full of vitamin B2, copper and manganese that are essential in the energy production of the body. This is especially important on the Candida Diet as the sugars, sweets, caffeine and other typical sources of energy are eliminated from the diet. 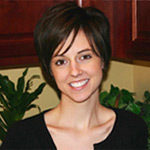 Especially in the first week of the diet the body is trying to adjust to the new fuel sources without sugar and the result can create a sense of fatigue or feeling of being drained, tired and sleepy. Consuming almonds can help even out the blood sugar and create an additional source of energy production to get you through the withdrawal symptoms of the yeast free, sugar free diet. 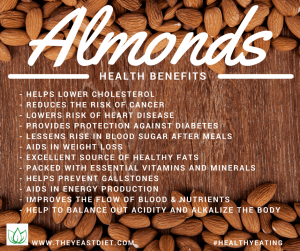 The health benefits of almonds are well documented and can provide a significant boost to a yeast free Candida Diet program as part of a balanced meal plan. Here is an infographic you can feel free to use and share to spread the news about this healthy snack!